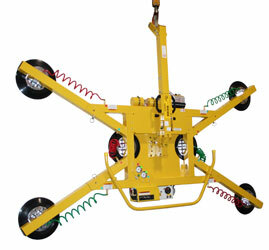 1100 LBS capacity' rotates 180 degrees and tilts 90 degrees. Includes extension arms. Many other options available including remote control and assorted fittings for metal panels and cladding installation.